Culture: the ideas, customs and social behaviour of a particular people, organisation or society. People talk grandly about the “culture” of an organisation - or "business culture", but it is often not clear precisely what they mean by this. Some mistakenly believe that it is influenced by having a ‘Foosball’ table in the office, a bowl of company branded sweets at reception, and some bean bags tucked away in a corner. Some consider that a mission statement, usually created several years ago and widely ignored by the business, is enough to define the culture of the business. In truth, all organisations have one, some better than others, but few actively manage it - for them, it has just happened! Like most things in business, at the point that you define it and write it down it becomes measurable and manageable. I urge you to consider doing just that, and here are a few thoughts to assist you. Company culture is the personality of the company; it defines the environment in which employees work and is influenced by a variety of elements, such as: the attitude of the directors and management, the company’s ethics, shared goals and expectations between management and employees, a mission statement (where one exists), and the values behind the business and its directors. 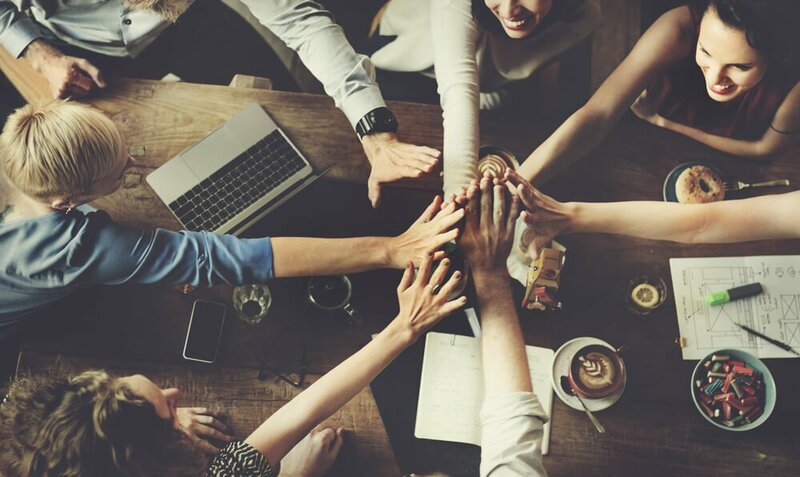 A strong company culture will not only help your business to thrive, but also to attract the right talent – those who share the same values, beliefs and expectations – and getting the right people undoubtedly supports business growth. Companies like Google realised the importance of having a clear company culture early on in life. Despite being a large conglomerate, Google has managed to build an inclusive and informal work space where everyone is connected. With a great work place, it’s no surprise that it consistently ranks within the top 10 of the 100 best places to work every year and continues to grow at a healthy rate. HubSpot released their first culture code a few years ago and it quickly exceeded over 1.3 million views on SlideShare. Having a culture code on its website has enabled it to not only attract those interested in what the business is and what it does – but also to engage with potential prospects and find new talent for the business. At The B2B Marketing Lab, a company that I founded back in 2012, we created a culture code around two years ago. Since then, we have gone on to use it in recruitment, in bringing on board new clients, and in communicating who we are and how we do things. Defining your company culture can be quite daunting; how do you get to a point of writing it down clearly so that everyone can understand it? The process is difficult, certainly, but going through the effort of writing it down can be hugely useful in helping you to find people whose values and objectives align with yours. Your people need to understand what it is your business does and why it does it – and the best way to communicate that is through a written “culture code” document. Here are some pointers and ideas, based on my experience of going through this process. Consider these headings as you start to write things down; a really useful tip is to give this planner to two or three of your team and have them write a version. When you have those, bring them together and see if you all agree! One more thing, if you are the founder of a business, do this before you start the business. Then you have direction. If you are the Chief Exec and the business has been going for several years, don’t write it. Get others to write it, and then manage the process of bringing it together. You’ll learn a lot more about the business you started and where it has got to! This is your chance to explain exactly what you value in the work you do. Yes, of course, your company wants to make a profit, but if you are a company owner, you know that why you do what you do goes much deeper than just that. Think about potential employees looking at this, do their values coincide with yours? Do you value hard workers? Do you value friendships within your organisation? Do you value honesty and transparency in everything you do? If so, say so! Your people are the backbone of your business, so don’t hide them. What do you look for in your employees and potential employees? There are certain criteria that you should look for when deciding who should work in your organisation that goes beyond pure skill and capabilities. For example, our company motto is to ‘Think it, do it, optimise it’. This helps us to communicate to our employees that they work in a place where they should not only think about what they do, but how they go about executing that activity and improving in the future. What’s the difference between your values and your policies? Well, your values are the things that you think are important and what your business stands for, while your policies are more like regulations or guidelines that you expect your employees to follow. Full discovery • Full consideration • Think hard • Ask questions • Do it • Optimise it • Work hard • GSD • Measure everything • Respect colleagues and clients • Treat people how you would like to be treated • Be professional • But don’t take yourself too seriously • Make sure we enjoy the work that we do. Remember the Foosball table and bean bags in the office? This is your chance to talk about the actual perks, benefits and any organised entertainment that you provide to employees. What do you provide that supports your team in the work place. Drinks? Tea or coffee? Do you have any regular outings or outside work activity? What about volunteering or charity schemes? What does your office space look like and where are your offices located? Showing prospects and potential employees what your office and surrounding locations looks like is a great way to give a glimpse into your business and the environment that you work in. Also, it allows prospects and potential employees to get a good feel of who you are as an organisation. In addition, if you regularly attend events or have company away days for professional development, make sure to take pictures and document them. Pictures – not stock photos – help to build the “humanity” of your business and remind people that you are real people. This is a vital area. How are you going to support new employees that join you? Do you provide professional development courses or training sessions? Employees are increasingly concerned about the level of professional development and career opportunities businesses provide. The way that you develop your employees can either make or break your business. In addition, allowing your employees to grow and develop is not only more cost-effective than hiring new employees, but also improves employee retention, sentiment and brand image. Happy employees are the best employees, so make sure to highlight how you feel about them and what you do for them in your culture code! 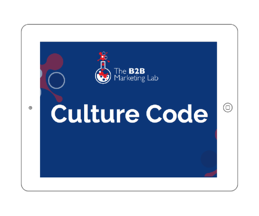 At The B2B Marketing Lab, a company I founded in 2012, we created our Culture Code two years ago, which is now on it's third updated version. You can download the document here or by clicking on the culture code to the right! Tip #37: Culture is increasingly important in building a business that can thrive and attract the right talent and business in the modern era. If you haven’t already, make sure you have a written ‘culture code’ and put the details on your website – this will help interested parties, whether they are prospects or potential employees, to understand what your business is and what it stands for.